Soul Sciences: podcast Lene Fogelberg Beautiful Affliction. 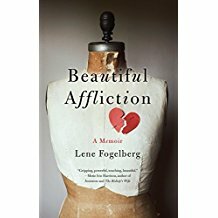 podcast Lene Fogelberg Beautiful Affliction. Lene Fogelberg learned early she had nothing wrong with her—except she couldn't breathe, had no energy, was fainting. Only when a chance check-up for a driver's license in the USA happened, did she learn about the miracle of her life. Listen in as she discusses Beautiful Affliction and the miracle that saved her and her family.